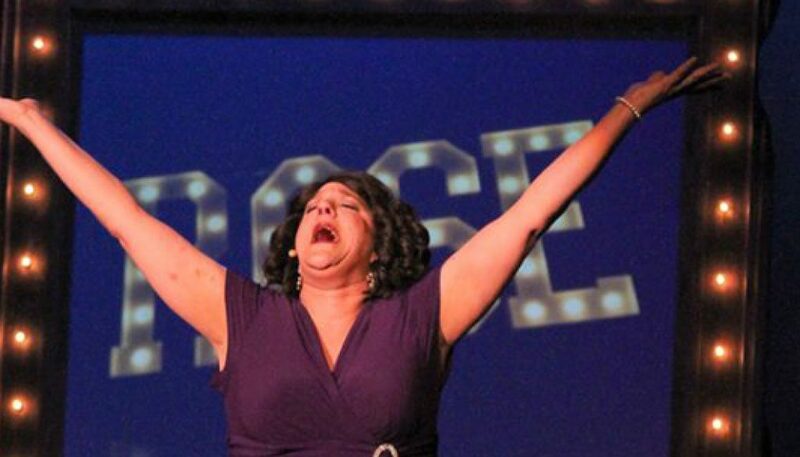 Musicals are the bread and butter of community theatre. They’re usually crowd pleasers and, with their large casts, can bank on a crowd of family and friends to fill a good portion of the house. They require a certain amount of space and a certain level of talent. Directors often cast for singing talent and cross their fingers that acting-wise their choices will be sufficient and that their audiences will be somewhat forgiving. 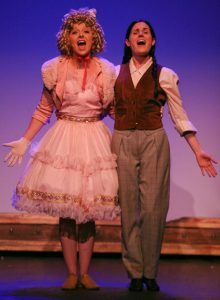 No such worries with the Sonoma Arts Live production of Gypsy, running now through July 30. Director Michael Ross utilizes every inch of space on the Rotary Stage (and beyond) and has cast veteran performer Daniela Innocenti Beem as Momma Rose, the biggest stage mother of them all in the Arthur Laurents – Jule Styne – Stephen Sondheim classic based on famed striptease artist Gypsy Rose Lee’s memoir. It follows Madame Rose and her two daughters from their beginnings as an out-of-town vaudeville kiddie act. Through fortuitous circumstances, Rose meets Herbie (Tim Setzer), a former agent who agrees to take them on and get them a dreamed-for New York booking. Herbie falls deeply in love with Rose, but Rose won’t return the affection until she’s made her daughter June (Amanda Pedersen) a star. When June branches out on her own, she turns her plans to her heretofore neglected older daughter Louise (Danielle DeBow). Louise does become a star but at oh, what a cost. Beem is terrific and her ferocity as Rose is matched by Setzer’s heart as the put-upon Herbie. Both have played these roles before and should the opportunity present itself they should not hesitate to play them again. Their relationship is the bedrock of this production and it’s a true pleasure to watch two pros at the top of their game. Amanda Pedersen and Danielle DeBow do fine work as sisters June and Louise with their relationship neatly summed up in the entertaining and wistful number “If Momma Was Married”. Other more familiar tunes from “Let Me Entertain You’ to “Everything’s Coming Up Roses” were all delivered with vocal gusto by the cast. Honorable mention goes to Julia Holsworth, Jaime Love and Karen Pinomaki for their work as a trio of past-their-prime strippers whose job advice to Louise is “You Gotta Get a Gimmick”. Unfortunately, I cannot say the same about the musical accompaniment. Musical director John Partridge and his six-piece band sounded timid, unprepared and under-rehearsed from the beginning of the overture through the musical conclusion. Musical entrances were missed and exits were haphazard. It was a major disappointment to have such a talented cast provided such lackluster musical support. That the cast powered through and delivered the performances they did is a tribute to their sense of professionalism. 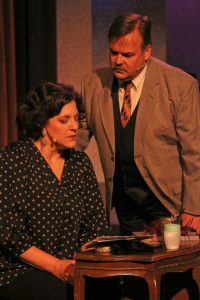 I’ve been impressed with the advances seen and improved quality of lighting, sound, and set design in Sonoma Arts Live’s relatively short life as a stand-alone production company. If they want serious consideration as a go-to venue for musical theatre, both by artists and audiences, then they must seriously step up their game in the music department. Their casts deserve it. Their audience should demand it. 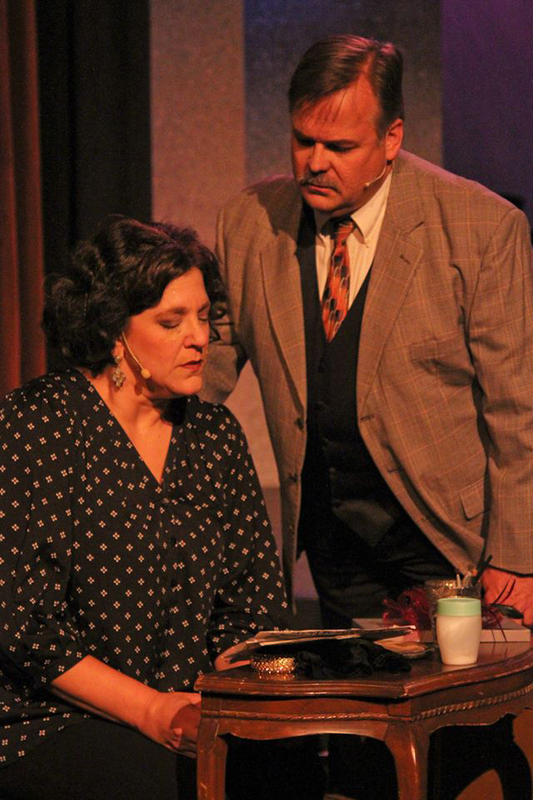 Gypsy, presented by Sonoma Arts Live continues now through July 30 at Sonoma Community Center, 276 E. Napa St., Sonoma, CA. with evening performances at 7:30 p.m. and a matinee on Sunday at 2:00 p.m. For more information call 707-938-4626 ext 1 or click here for the website.